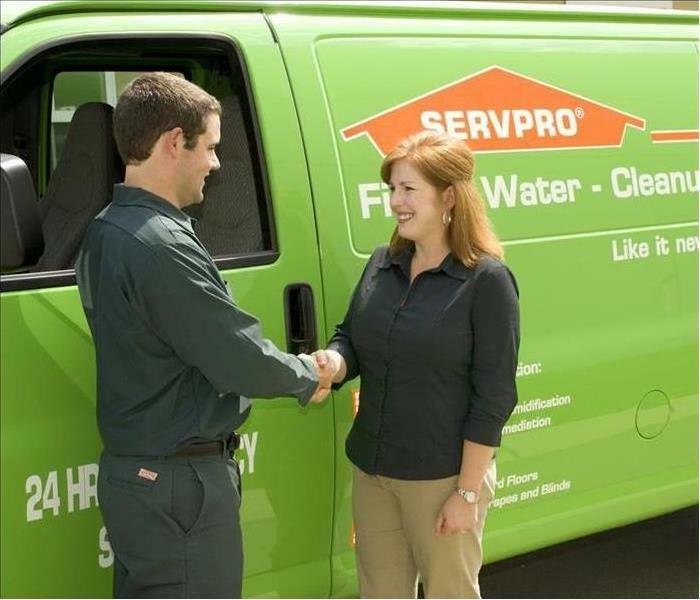 We are SERVPRO of North Central Austin. We strive to provide the best services in Austin. We are located in Wells Branch and like to give back to our local businesses. We are highly trained, customer service driven professionals to help in a time of need. We also provide reconstruction services to make it "Like it never even happened!" 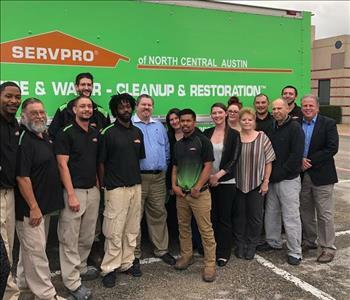 Andrew Stone is a Commercial and Residential Marketing Respresentative at SERVPRO of North Central Austin. He has several years of management experience. He has the following certifications from the Institute of Inspection Cleaning and Restoration Certification (IICRC): Water Removal Technician. He also has Employee Certification Training Program (ECTP): water, fire, content management, carpet and upholstry and commercial priority response. In his spare time he likes to watch sports, participate in a bowling leauge and spending time with his wife. Bella Stone is the Chief Happiness Officer at SERVPRO of North Central Austin. 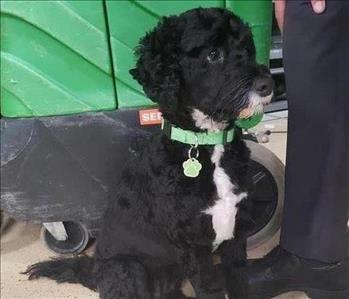 She is a rescue poodle from Houston, Texas. She is great with cleaning with her tongue and very playful and curious. Around the office she likes to play fetch and help production loading the trucks. 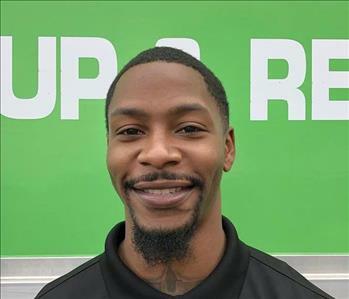 Carlos Smith is a technician at SERVPRO of North Central Austin. He is new to the industry, but is very eager to learn and be a part of the team. He has past experience in carpentry. He is a part of the charity Save the Children and in his spare time he likes to watch sports and spend time with his 3 sisters and brother. Gwen Omo is the accounting admin at SERVPRO of North Central Austin. She has several years of accounting and office experience. She has been married to her husband Mike for 41 years. In her spare time she likes to spend time with her 2 children and 2 grandchildren. 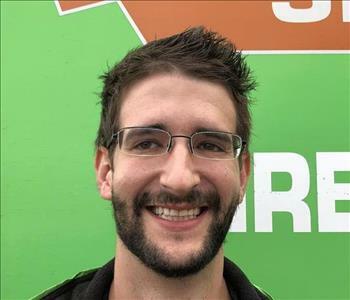 James is the Reconstruction Manager at SERVPRO of North Central Austin. He has 10 years of fire and flood restoration and project management experience. 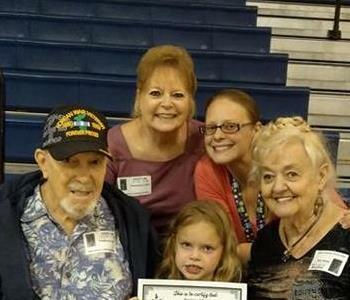 He was stationed in the army out of Fort Bennings Georgia. He is a husband and father of three. In his spare time he is a martial arts instructor in MMA and Brazilian Jiu Jitsu. 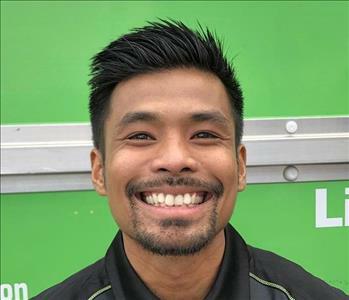 Jeric Flores is the Production Manager at SERVPRO of North Central Austin. He has several years of restoration experience and has the following certifications from the Institute of Inspection Cleaning and Restoration Certification (IICRC): Water Removal Technician and Applied Structural Drying Technician. He also has Employee Training Certification Program: water, fire, carpet and upholstry. He is a Veteran of Combat Army Heavy Weapons. He likes to volunteer every year. In his spare time he likes to play disc golf and spend time with his wife, Erica, and son, Eric. 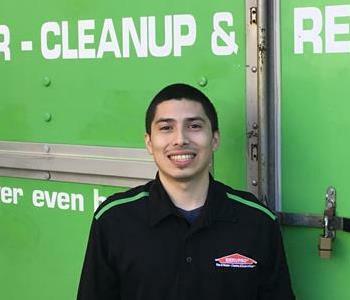 Jonathan Cisneros is a Crew Chief at SERVPRO of North Central Austin. He has several years of experience and has the following certification from the Institute of Inspection Cleaning and Restoration Certification (IICRC): Water Removal Technician. In his spare time he likes to visit with his family. Josh is a Crew Chief at SERVPRO of North Central Austin. He is certified in water, fire, mold, and cleaning. He has a background in construction, roofing, fencing, and plumbing. He is the oldest of three kids, and has a brother and a sister. In his free time, he enjoys spending time with his family. 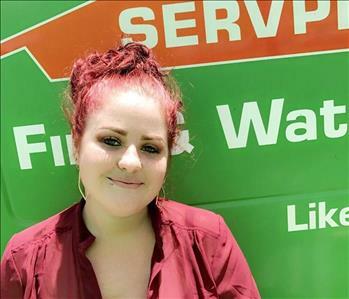 Karlee is an Administrative Assistant at SERVPRO of North Central Austin and is Water Certified. She has multiple years of experience in customer service, and is putting all of it to use in our office! In her free time, she enjoys spending time with her 2 Kids and Fiance. 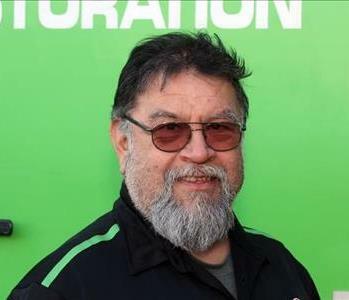 Ralph is a Sales Marketing Representative for SERVPRO of North Central Austin. He has training WRT water restoration, and some experience in construction. In his free time, Ralph is an active member at Celebration Church, and is active in working with Habitat for Humanity. He has been happily married for 28+ years, and enjoys spending quality time with his family, daily exercise, gardening & landscaping, golf, attending sporting events, traveling, and going to wineries. 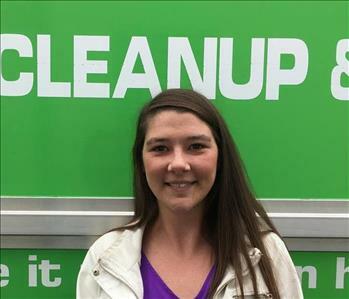 Melinda Stone is the Office Manager at SERVPRO of North Central Austin and is Water Certified. She has 3 years of legal experience and 4 years of customer service experience. She has the following certification from the Institute of Inspection Cleaning and Restoration Certification (IICRC): Water Removal Technician. She also has certifications in Crew, Fire, Water, Contents Management and Textile Cleaning. In her spare time she is in a bowling league and likes to go to sporting events or cook for friends and family. She also likes to get involved in DIY projects in her spare time. 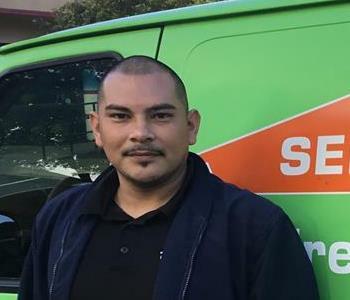 Romulo is a Technician at SERVPRO of North Central Austin. 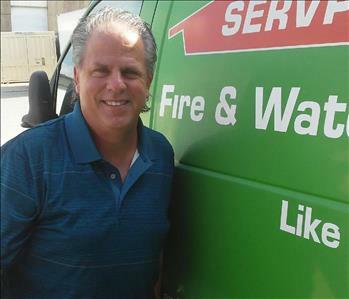 He has experience in construction, masonry, driving big trucks, cleaning up damage resulting from fire, water, and mold. He lived in Virginia for 27 years, but has worked with masonry for 35 years. He is married with five grown children, and loves to do anything with fishing. He is dedicated to his work, gives attention to detail, customer concerns, aims to please, is responsible, polite, and a team player.